Memorial Service 4:30 PM Thursday, October 18, 2018 at The Cokato Township Hall. Visitation: Begins at the Cokato Township Hall on Thursday at 2 PM. Interment: 5 PM with Military Honors at the Cokato Finnish Cemetery. Frank “Richard” Constenius was born on March 21, 1933 to Frank and Siama (Alapeteri) Constenius in Cokato Township, Minnesota. The family moved to Floodwood and Richard grew up there to age 13 then moved back to Cokato. As a young man he worked the harvest and for several ranchers and farmers here and in the Dakota’s. Richard went on to work as a merchant seaman on the Great Lakes, first as a coal passer and then an oiler. On October 15, 1954 Richard entered service in the United States Army; he served as a machine gunner in the 16th Infantry until honorable discharge on October 12, 1956. After service Richard returned to his job as a merchant seaman until 1959. He then worked construction. In 1961 Richard married Betty Johnson Kotila. He then took a job at the armory in Arden Hills. After a time, there he drove truck and also worked for Cokato Township until retirement. Richard had many hobbies: snowmobiling, motor cycling, deer hunting, and fishing. 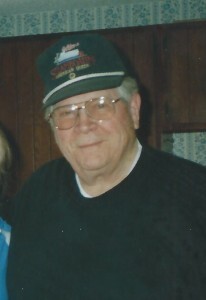 He was an avid Viking fan, he enjoyed politics and working on cars. Richard had a good sense of humor and loved pulling pranks. And Most of all he enjoyed his family and friends. Frank “Richard” Constenius passed away suddenly on October 12, 2018 at the emergency room of the Hutchinson Hospital. He had reached the age of 85 years, 6 months and 21 days. Survivors include; wife Betty, step son Kenny (Joanne) Kotila. Sons; Brian (Carol) Constenius and Garrett Constenius. 8 grandchildren, 15 great grandchildren, and 4 great great grandchildren. Daughter in law Carolyn Kotila. Siblings; Helen Benson, and Carol Cannizzio. Richard is preceded in death by: his parents Frank and Siama, step son Leslie Kotila, Sister Janet and brothers Roger and Rueben.